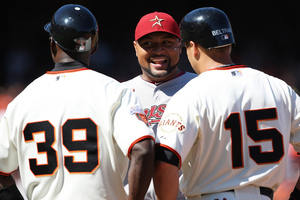 an August 2011 game at San Francisco’s AT&T Park. 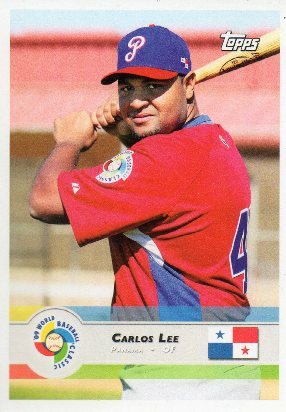 Although 36-year-old Carlos Lee was last seen wearing a Miami Marlins uniform after a 2012 midseason trade, he has always been a fan favorite from early on in his career while playing for Chicago White Sox (1999-2004), Milwaukee Brewers (2005-2006), Texas Rangers (2006) and Houston Astros (2007-2012). 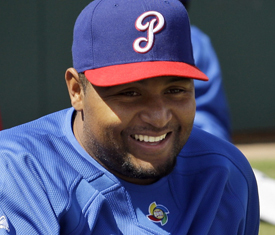 White Sox TV announcer Ken “The Hawk” Harrelson–who witnessed firsthand Lee’s 2004 28-game hitting streak, which broke the franchise record and surpassed Rod Carew’s 25-game record for a Panamanian player–knew that the three-time MLB All-Star (2005-2007) and two-time Silver Slugger (2005 & 2007) was a special player and coined him “El Caballo”. 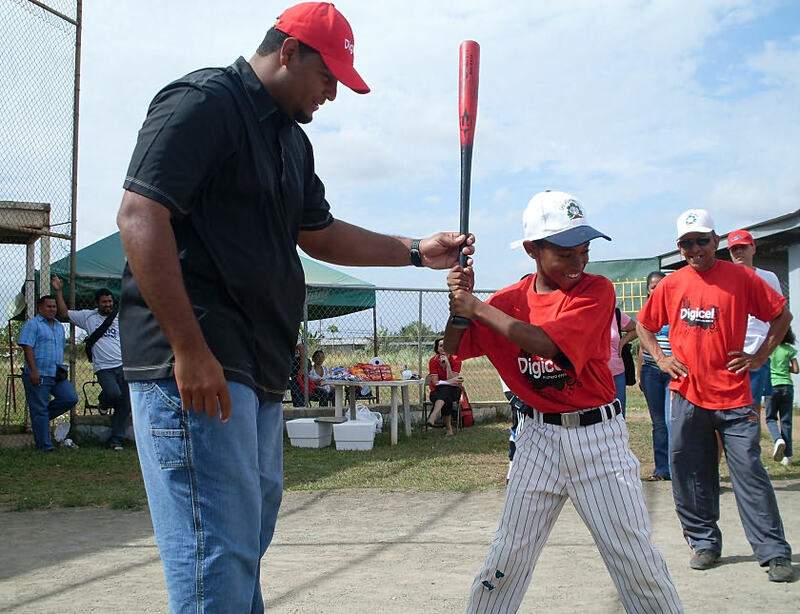 Carlos Lee regularly hosts baseball clinics in Panama. Despite his place in the White Sox records book, many think of Lee as a lifetime Texan. As the cleanup hitter for Houston, he drove in 100 or more runs in three of his five Astro seasons, averaged 26 homers and hit over .300 three times. Carlos Lee would rather be known for his comparison to Texas ranching icon Nolan Ryan–not for his seven no-hitters, 27 major league seasons, the all-time strikeout record, or his 324 wins–but rather for Ryan’s 2011 Golden Spur Award, which recognizes leadership and exceptional service to the ranching industry. 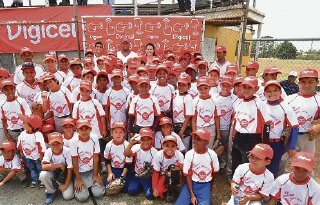 Minor Leaguers from Don Bosco were given MLB tips. “El Caballo” lives up to his nickname as the owner of Slugger Ranch in Texas, where he raises prize-winning Brahman, and nine ranches in his native Panama. Lee instantly won credibility with his 2006 Brahman Grand Champion at the largest Brahman show in the world at the Houston Livestock Show and Rodeo. Two years later, he donated $25,000 and over 300 bales of hay to support Texas ranchers whose properties were ravaged by Hurricane Ike. 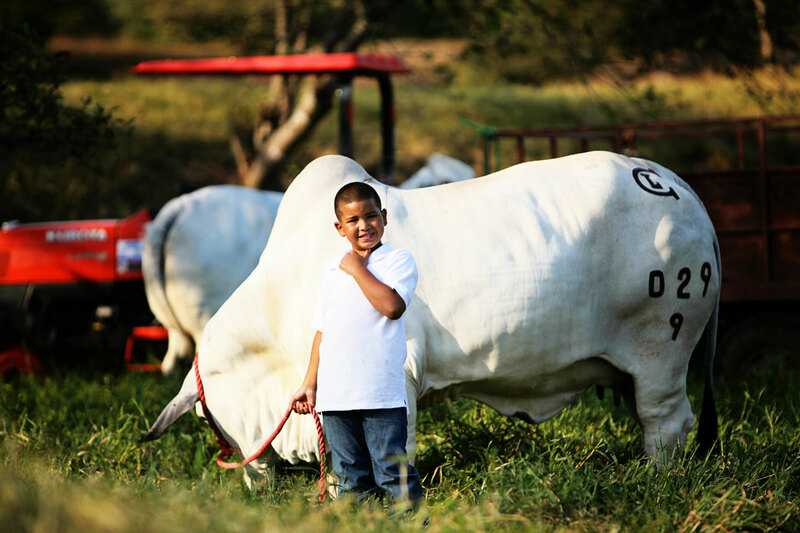 Little Carlos poses next to dad’s prized Brahman at Ganadera Karla Mary in Aguadulce, Panama. from gate-to-wire en route to the WBC Winner’s Circle. 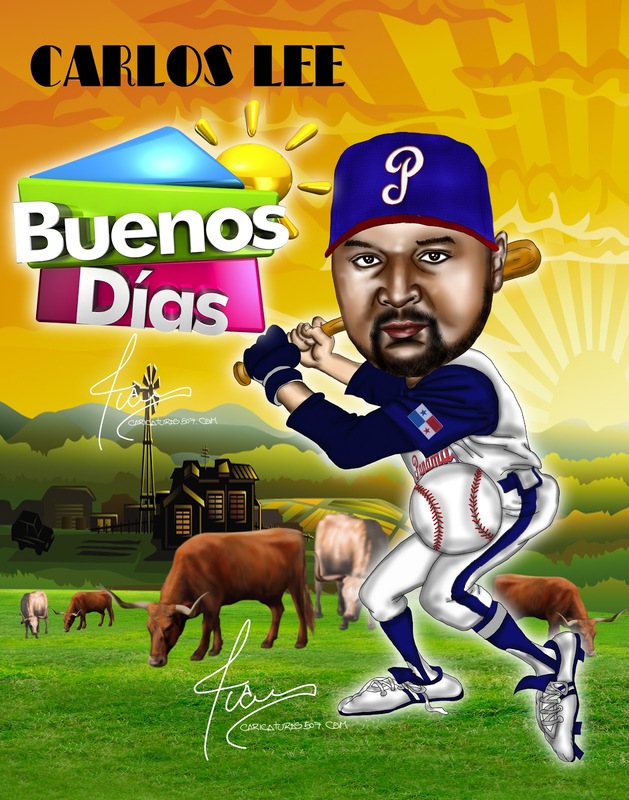 Carlos Lee will lead Panama against Brazil, Nicaragua and Colombia in the WBC Qualifier.